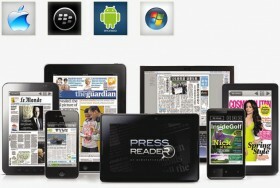 Would you like to offer your guests their favourite newspapers, with just a click away? GlobalNewspapers provides a set of Web services, which allows hotels an efficiently and cost-effective printing of more than 7000 of the most popular newspapers and magazines from around 120 countries and in 60 languages. Virtual Paper – Informação Digital, Lda, is the legal representative of NewspaperDirect in Portugal and Spain, since September 2008, using the brand GlobalNewspapers to promote their services. We offer over 7000 titles newspapers and magazines, from 120 countries and in 60 languages. We always offer the most updated newspapers editions, and often the papers are available to print even when they haven´t reached the streets in their own country. The newspapers are similar in format and content to the edition that customers are used to read, since each newspaper includes all the articles, editorials, advertising, word puzzles and features found in the original edition. NewspaperDirect doesn´t modify the contents of the newspapers provided by the publishers. Allows fast access of the requested newspaper or magazines by the guest at a lower cost and without having someone from the hotel going outside searching for the requested newspaper or magazine. The software was designed and tested to be easy to use, with intuitive interfaces and prepared for different types of applications. The aim is to help hotels to accommodate their guests in a more personal way, providing them with free technical conditions that allow the hotel to obtain their guests favourite newspapers early in the morning. 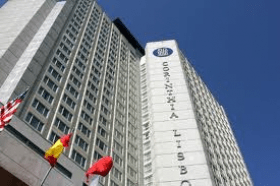 In its short lifetime in the market, some agreements have been made with reference hotels in Portugal, who have wagered on GlobalNewspapers products to better meet the guests stay.